Local search has been around for awhile, but surprisingly, many businesses aren’t aware of how important it can be to securing your online presence and adding value to your potential customers who use this service every day. There is literally an entire generation of people who don’t use the yellow pages*. So how do they find you? They go to Google and search for your business with local terms. For instance, if you are looking for a jeweler, type in “jewelry” and your city & state, or zip code. If you type in “web designer 55350,” Vivid Image will come up two out of the three local listings! A good friend of mine is a small business consultant. He consulted a plumbing client of his to get a phone number in a neighboring city 30 miles away. For an entire year, he did not advertise that number in the newspaper, yellow pages, or in print. They only place his new phone number could be found was on Google. He received new client calls every week! Now his competition is trying to figure out how they lost market share to someone out of town. People use Google and other local search techniques to find you. If you are not listed in the local search engines, you need to be. It is costing you money by not being listed! Do you believe that you are the obvious choice for your clients to choose? Are you the best option? If so, then it is really a disservice to your clients not to be listed in the local search engines. You owe it to them to be found. Local search doesn’t even require you to have a website! There’s really no reason to miss out on this opportunity! A local search listing can include your phone, fax, website, map to your location, method of payment, business description, pictures, coupons, company reviews, and more! ONE ACTION ITEM you can take right now is to verify if you are in a local search engine. Go to Google, type in your industry, town, and state (i.e. 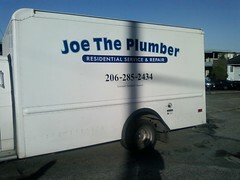 plumber Hutchinson, MN or Restaurant Glencoe, MN) and see if your business is there. If not, Vivid Image can help get you listed quickly. Tomorrow, we will look at the steps to get listed. Then we will review the seven steps to local search engine dominance. * Don’t get me wrong about yellow page listings. For many businesses, they need to advertise in the yellow pages. Most businesses can get by with a small listing. One of the biggest benefit of the yellow pages is that they sell their listings to the search engines. So being in the yellow pages can help you in the search engines also!